Tyler Spear and Brett Gagan settled into their seats inside the cockpit. "All right, ready for takeoff?" asked Spear. "Yep," replied Gagan. "Clear takeoff." Although their instrument panel showed all the switches and screens of a CRJ 700 regional jet, and the view out their window showed a runway at Minneapolis-St. Paul International Airport, Spear and Gagan weren't going anywhere. They were in a simulator located in a dimly lit room at Minnesota State University Mankato. MSU has Minnesota's only four-year bachelor's degree program in aviation. The program has grown markedly in recent years, thanks in part to the rule that forces commercial pilots out of the cockpit at age 65. According to the Air Lines Pilots Association, 21,000 pilots are expected to retire from large U.S. carriers in the next 10 years. The coming wave of baby boomer retirements will hit the aviation industry hard. Spear, of Brooklyn Park, and Gagan, of Hayward, Wis., both seniors, have an excellent chance of landing jobs after they finish their schooling and log the necessary flight hours. "I always had an interest in aviation, so I decided it would be a good career choice," Gagan said. "It's always a challenge and I'd have fun with it, so I wouldn't work a day in my life, really." His timing couldn't be better. Over the next two decades, plane manufacturers like Boeing forecast airlines will need more than half a million new pilots worldwide. North America alone will need almost 100,000. 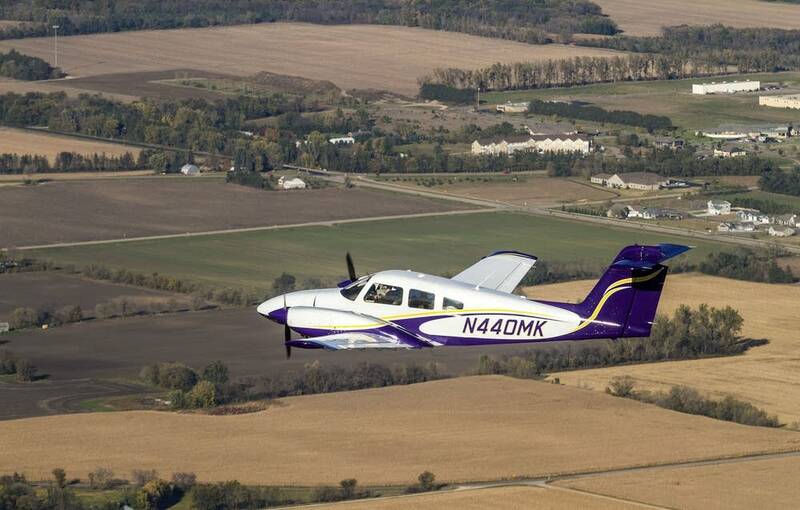 Mankato's aviation program has been around since the mid-1970s. Coordinator Tom Peterson said a state budget shortfall in 2010 threatened to ground the program for good. "We were on the chopping block to begin with," he said. "Then we had some grassroots and community support that sent a message ... that we're serious about keeping our program, we're serious about keeping our airport at the standard it is." That same year, St. Cloud State University decided to close its aviation degree program, leaving Mankato as the sole program in Minnesota. 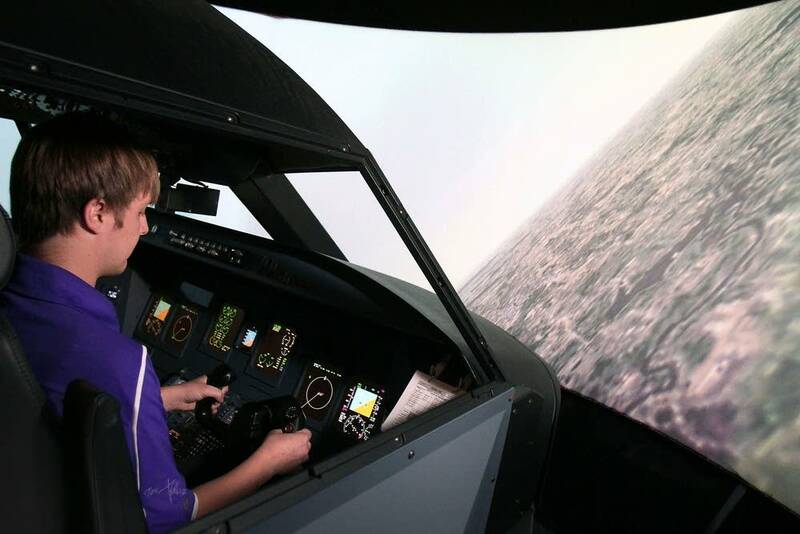 In the last four years, Mankato's aviation program has grown about 60 percent, to 176 students. The program was recently accredited by Aviation Accreditation Board International. The university contracts with a local flight school, North Star Aviation, to provide training. Most students graduate with 200 to 300 flight hours. After graduation, many will work as North Star flight instructors for about a year to accumulate the 700 to 800 additional flight hours required to fly for an airline. The aviation program at MSU isn't cheap. The total four-year cost to get a bachelor's degree in aviation is about $146,000, including aviation fees of about $81,000. The median annual wage for commercial pilots is approximately $74,000, according to federal statistics. North Star's Flight School Manager Rob McGregor said airlines are starting to recruit students months before they can actually hire them. "These students that are here now can pretty much pick the airline they want to go to," he said. "Two years ago, they may have instructed here two, three years, just trying to find a spot to go. They have to have 1,000 hours to be hired ... and they're being told, 'As soon as you hit 950, let us know. We're going to get you in the next ground school, if you will come work for us.'" That's what senior Ethan Troe, of Owatonna, Minn., hopes will happen. 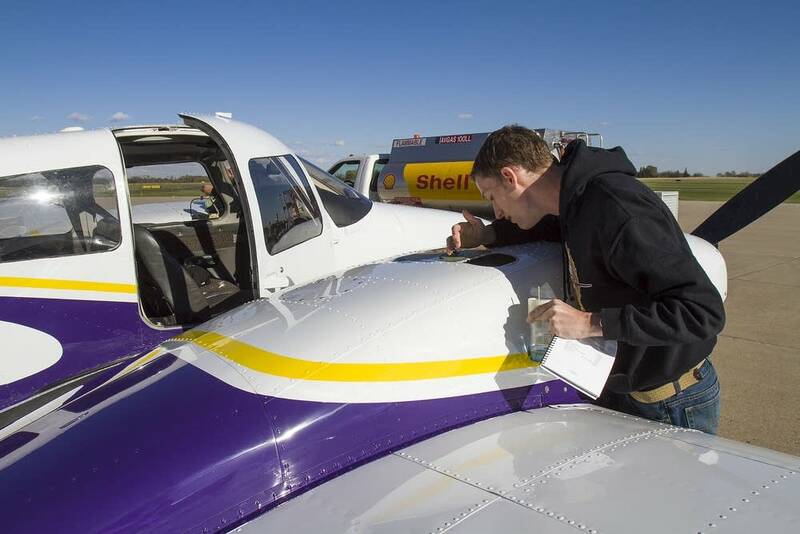 Before a recent practice flight he was checking the propellers, oil levels, wings and antennas on a twin-engine Piper Seminole. He's already got about 270 flight hours under his belt, so this flight was intended to practice some more advanced cockpit skills. "The things like emergency procedures, and if there was an engine fire and stuff," he said. "Just be on top of my game and do it as fast as I can and safely, not skipping stuff — that takes a lot of practice." Troe climbed into the cockpit with a flight instructor and started the engines. It was windy as he taxied down the runway and took off over the cornfields of southern Minnesota, hoping to land at a major airline in a few years.